For anyone who is unfamiliar with the Planet X phenomenon, please consult the following in-depth and comprehensive explanation. This definitive essay covers the most significant aspects of Planet X, and will serve to acquaint the uninitiated with its extraordinary implications. With these highly consequential revelations by Carlos Muñoz Ferrada, it is now clear that the future of our global civilization hangs in the balance, as does the fate of Planet Earth. There has been a video of great import circulating the internet since the end of 2013. The preceding essay was written as a direct result of viewing that video. Its exceptional content is both simple and scientific, and conveys in a most compelling fashion the greatest secret of our age. It presents an interview* which took place between Carlos Muñoz Ferrada, a distinguished Chilean astronomer, and an investigative journalist from Puerto Rico. *The interview was conducted in 1999 after 59 years of extensive research on a certain comet-planet, which became the object of Muñoz Ferrada’s investigation beginning in 1940. It is important to point out that Ferrada established such a stellar track record at identifying comets and other heavenly bodies — before they were viewed by telescopes — that the Royal Astronomical Society of London “reshaped its policy” for naming comets. They ruled that, henceforth, the individual who was able to establish the existence of a comet through its calculation using the discipline of mathematical astrophysics would receive the honor, not the astronomer who visually discovered it by chance using a telescope at a later date. Another extraordinary prediction by Ferrada concerned the last passage of Haley’s comet. “He indicated at the last moment the comet would alter its speed and go closer to the sun”, which is exactly what happened on February 12, 1996 . There is additional context for this ongoing astronomical inquiry which is critical to understanding both its seriousness and integrity. It includes two esteemed US astronomers back in the 1970s and 80s, who became convinced of the existence of a large, unseen planetary body which was the direct cause of the perturbation of both Neptune and Pluto. 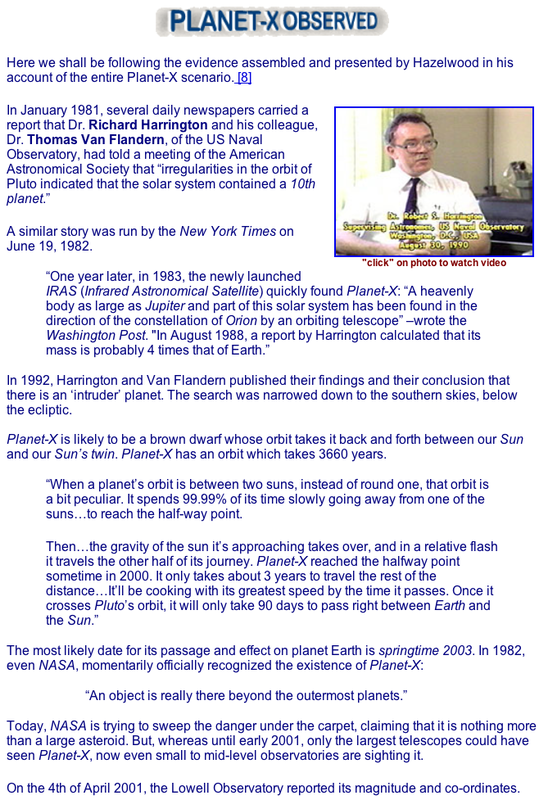 Both Dr. Robert Harrington, an American astronomer who worked at the United States Naval Observatory (USNO), and Tom Van Flandern, also an astronomer at the USNO, were deeply involved in the discovery of certain astronomical phenomena which pointed directly to the existence of a Planet X. 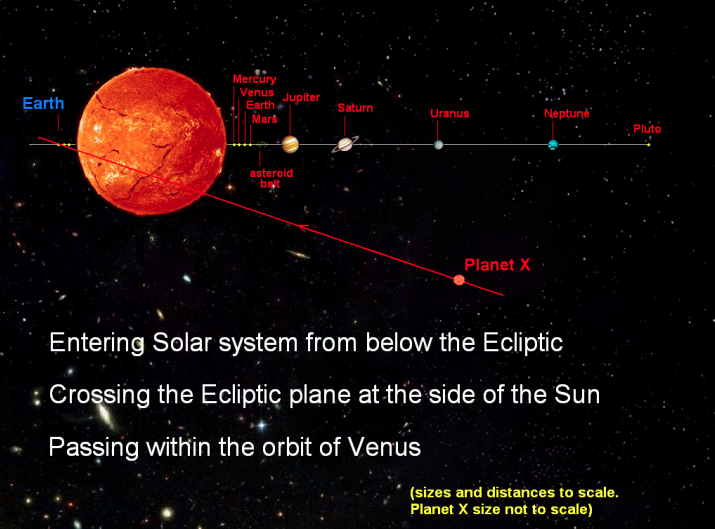 What follows is a diagram representing Dr. Harrington’s hypothesis concerning the orbit of Planet X. With this background and understanding, the following 10-minute video is offered for the reader’s consideration. Given the sheer gravitas which Carlos Muñoz Ferrada brings to this interview, it is clear that he has fulfilled his role as a sort of modern-day prophet. (Yes, prophets do now exist even if the mainstream media fails to acknowledge their presence among us.) By his genuine countenance and unimpeachable integrity, it quickly becomes clear that this gifted astronomer has done mankind an unparalleled service. If you were unaware of the existence of Planet X, this video addresses the most crucial issues associated with its passage. In fact, it delineates the most significant effects which are expected to occur on Earth, some of which have already been experienced for the past decade. The video also takes up some of the far-reaching ramifications for the whole of humanity. Although he sometimes speaks in general terms, it is easy to grasp the gravity of his simple explanations, especially the attributes of Planet X. Planet X is sometimes referred to as Hercolubus. Throughout the South American continent this planet-comet is known to have a distinctly red appearance; hence, its name Hercolubus meaning “Red Planet”. Although the following interview was originally conducted in Spanish, it is presented here with English subtitles. • A large comet-planet travels a very long elliptical orbit which tracks between our Sun and a Dark Star (also known as a “black star” or “dead sun”) 32 billion kilometers away. • This comet-planet does not obey the established laws of celestial mechanics and is packed with much cosmic energy. Its orbital trajectory and speed are similar to a comet; yet it has the size and mass of a planet. • During it orbital trajectory it maintains three different speeds: (i) 92 kilometers per second around the Dark Star, (ii) 76 kilometers per second around our Sun, and (iii) 300 kilometers per second for half of its orbit in between the two stars. • The comet-planet’s approach will be heralded by a triangulation of increased seismicity in the regions of the mid to northeastern coast of Chile, the northern Mediterranean coast between France and Spain, and in the Indian Ocean near Java, Sumatra, and Borneo. 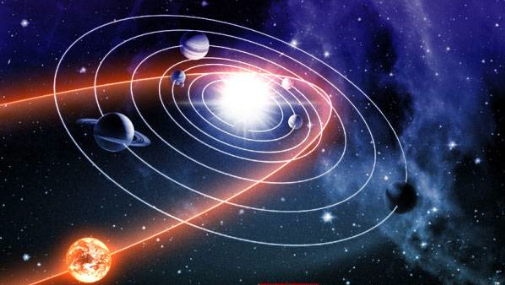 • The last time Hercolubus (aka Planet X) approached our Solar System was approximately 13,000 years ago during the destruction of Atlantis. • The closer its path takes it to our side of the Solar System, the more seismic activity and volcanism will occur on Planet Earth. • The worldwide weather patterns will also become more erratic, as regional climate trends become more unpredictable. 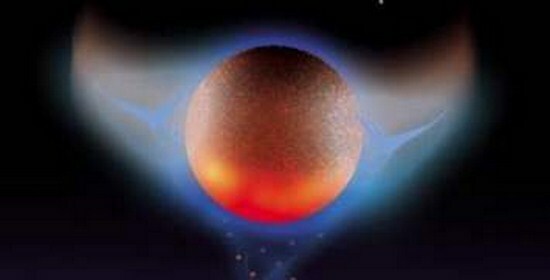 • Planet X will travel as close as 14, 000, 000 kilometers to the Earth. Such a close flyby will make Hercolubus (Red Planet) visible for everyone to see. • When this comet/planet interloper has completed its orbit through our Solar System, the global order will have been severely challenged. The very subsistence of Earth’s many populations will have been put into jeopardy. • Because there has been no forewarning from the governments of the world, nations large and small will be completely unprepared for what Hercolubus (Planet X) will bring. Planet X is the only phenomenon that can satisfactorily explain an Axial Pole Shift, and the HUGE earth changes which always accompany one. The geological record is replete with examples of cyclic planetary catastrophism also known as periodic planetwide cataclysms. These often protracted events have been “documented” with conclusive scientific evidence that proves the earth plane has experienced abrupt shifts in its land masses, water bodies, weather patterns and climate trends. The various instances where a wooly mammoth was frozen in a night and a day indicates that something in the Earth’s past came upon it fast and furiously. Magnetic pole shifts have been shown to occur on a regular basis and do not seem to trigger the degree of planetary change that an Axial Pole Shift can produce. Therefore, one is compelled to ask: Exactly what kind of periodic and sufficiently powerful phenomenon could cause the Earth to shift its axis? Truly, that is the proverbial 64 thousand question, if ever there was one. Keeping in mind that an Axial Pole Shift is the only type of planetary alteration which can explain so much transformation that is otherwise inexplicable. How ever one attempts to explain away the sinking of whole continents or flooding of major land masses, the rapid onset of an Ice Age or descent into a Global Warming trend, a Pole Shift certainly provides an adequate explanation for such planetary catastrophism. Therefore, the human race is obligated to understand how and when and why these planet -wide catastrophes take place. Given that the current civilization would experience such profound and fundamental disruption in the wake of such a calamitous event, the answers to these questions would appear to be quite pressing. After all, what is at stake with an Axial Pole Shift scenario is the continuity of the planetary civilization itself. Depending on how such a shift plays out — and there are varying degrees of severity — such an eventuality could pose a dire existential threat to the entire human race. Every seismologist and volcanologist on the planet will attest to a substantial and unexplained increase in the incidence of both major earthquakes (8.0 and above) and unanticipated volcanic eruptions. Many the government websites, which compile all the pertinent information and historical data concerning these earth movements, substantiate this alarming trend. The following diagram has plotted the timeline of the most serious earthquakes which have occurred over the past ten years. Each of these quakes was responsible for effectuating a discernible shift in the axis of the Earth. All of them have transpired according to a pattern which appears to be predictable and reflective of an overriding outside influence. While the correlation with the presence of a very large heavenly body approaching the Solar System is open to further examination, it cannot be dismissed outright as many throughout the scientific establishment have reflexively done. In the absence of any meaningful explanation for so many mega-earthquakes and spewing volcanoes across Planet Earth, an intruding comet-planet ought to be considered. 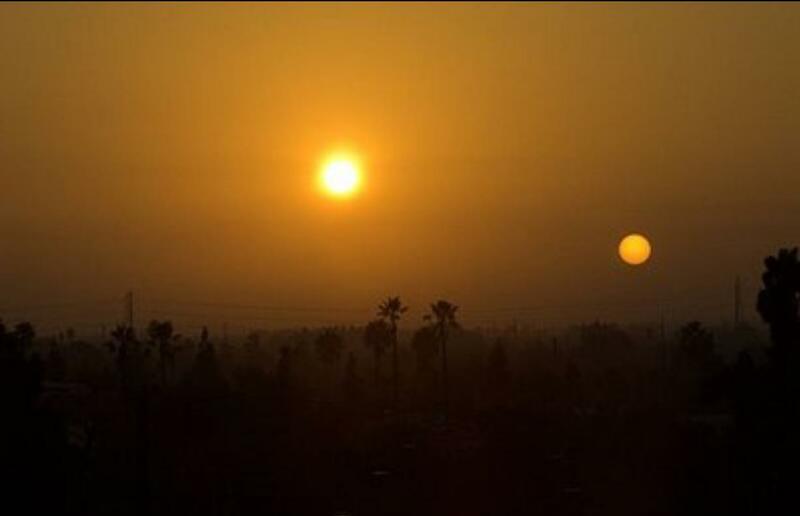 There have been many sightings of a “Second Sun” which some believe to be Planet X. 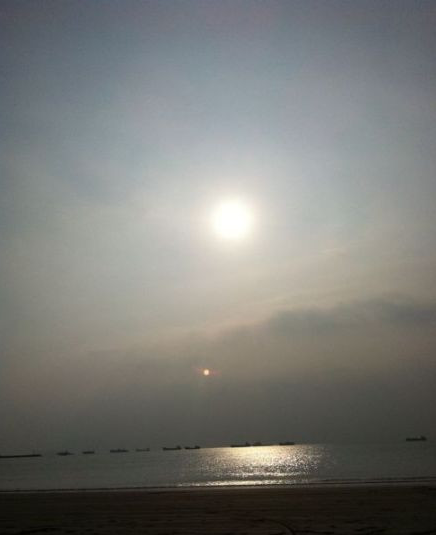 Over the past few years, skywatchers and sungazers, armchair astronomers and beachgoers across the planet have snapped photographs of what appears to be an exceedingly bright heavenly body. 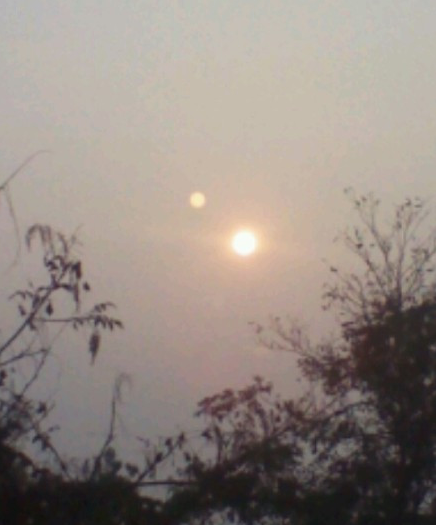 The following sun shots have been taken spontaneously, when such a sight was least expected, and which appear to portray an astronomical phenomena very near or within our Solar System. Each photo below has captured a different perspective which reveals an object of extraordinary size and brightness, particularly given its proximity to the Sun’s sky location. Caveat: The internet is now rife with photos like these, many of which have been proven to contain lens flares, sun dogs and other anomalies. Some of the obviously fake photos have been photoshopped. The pictures shown below have been closely scrutinized; however, their authenticity can only be attested to by the original photographer. 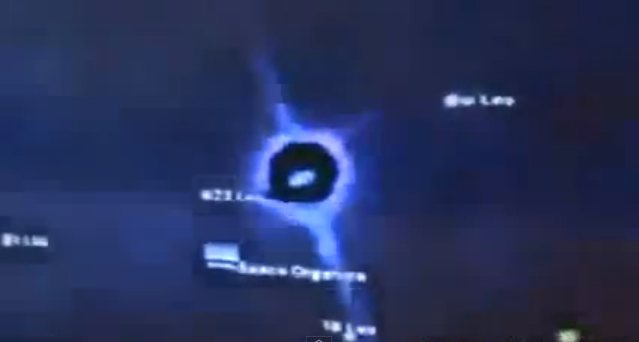 There have also been many videos showing the same type of extraordinary phenomena appearing near the Sun. 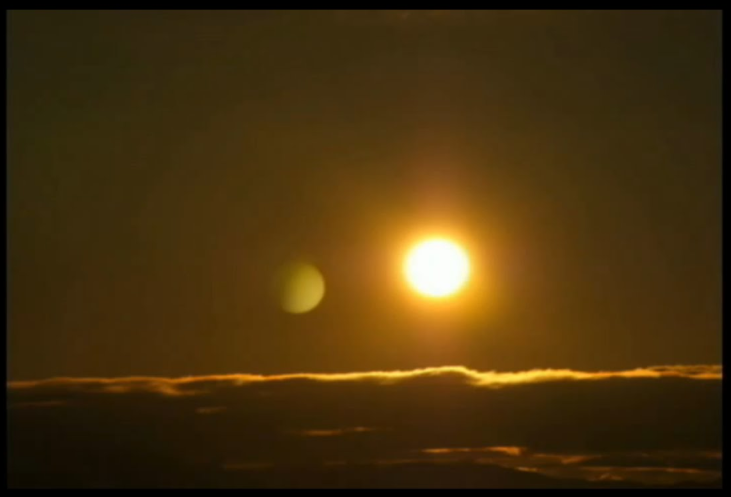 Please be aware that it is much more difficult to fabricate a video showing two suns over the course of a few minutes. While these videos have been uploaded on the internet by sources who feel they captured an inexplicable event, we leave it to the viewer to decide what they actually portray. If these photos and videos do not present a compelling case for the existence of something very BIG looming on the horizon, then perhaps the viewer will be convinced when this same heavenly object appears around the globe to every human being … in living color … and in real time. The planet-comet identified by Muñoz Ferrada has been known by many names throughout history. 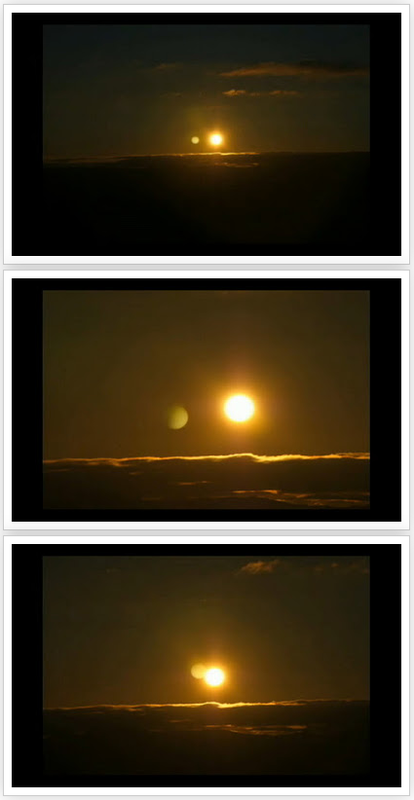 One of those is Nibiru meaning “planet of the crossing”. A Sumerian expert — Zechariah Sitchin — came across several references to Nibiru while studying various texts from ancient Sumeria. The depictions of a very large planetary body is actually part of the lore and legend associated with this well-recorded civilization. In fact there are so many direct allusions to Nibiru, which fit the profile of Planet X, that it cannot be ignored by any serious researcher. In light of the meeting of the minds which took place between Dr. Robert Harrington and Zechariah Sitchin, the recurring appearance of Nibiru near our Sun now seems quite plausible. 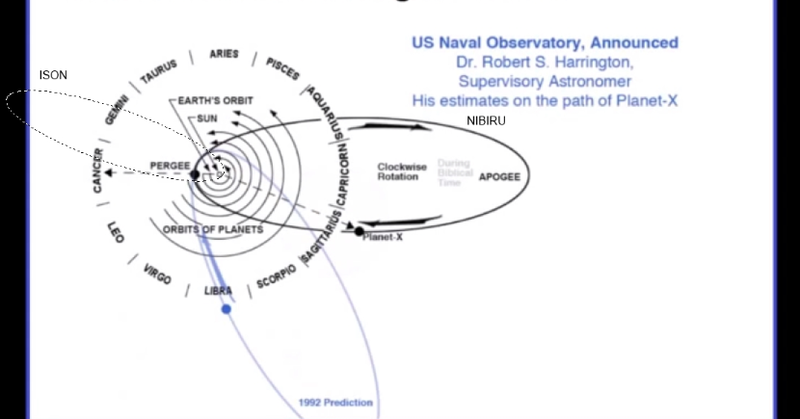 Bob Dean (a once well-positioned military insider) has speculated in this short video on the true nature of the Planet Nibiru, and how the Annunaki residents exist on such a seemingly inhospitable planet-comet. There have been many efforts to ferret out the truth regarding the existence of Nibiru which have created much confusion on the internet. Therefore, it is much easier to proceed down a line of inquiry which has already beed tread so as to avoid much of the confusing and/or incorrect information. In view of the HUGE implications associated with a Nibiru, one cannot help but wonder if much of the disinformation is purposeful; nevertheless, even misinformation can reveal truths which would have otherwise remained hidden. The Holy Bible provides another source for the existence of unanticipated events in the heavens which have great consequences for the Earth’s inhabitants. Whether these references are purely allegorical in nature cannot be known for certain. 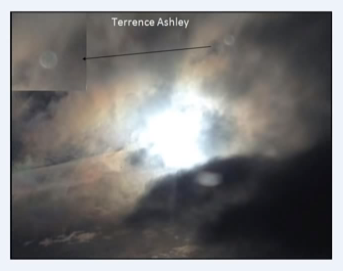 However, there are several prophecies, especially in the Book of Revelation, that seem to closely align with the existence and mischief of a Planet X. Of course, Wormwood has often been looked at in a variety of ways, the most obvious as a precursor of a severely catalytic event of great consequence. There are also many interpretations of Wormwood which are strictly figurative; however, scriptural writings frequently possess many layers of meaning as we see across all religious traditions. Therefore, the opening of the Seventh Seal may very well refer to the passage of Nibiru through our Solar System. The SEVENTH SEAL is a biblical prophecy which cannot be averted. 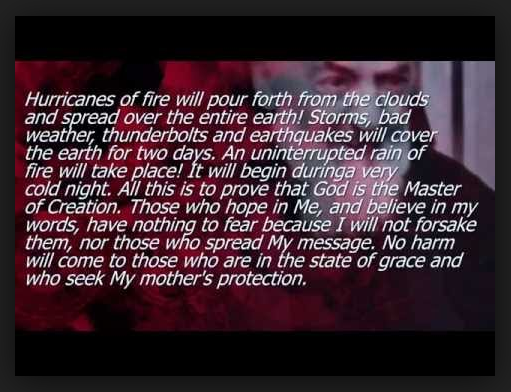 There are also several Marian prophecies which point obliquely to a cosmic event which will have profound global impact, essentially altering the current world order after rearranging the surface of the planet. In “Mary’s Message to the World” this eventuality is referred to as the “turning of the earth” and “the final event”. It occurs after a period of great political, economic and social upheaval. The “turning of the planet” takes place after a protracted duration marked by every kind of weather cataclysm and climate deviation; earthquake swarms and volcanic events; comet, asteroid and meteor appearances; among many other signs and omens. There are other Marian predictions which tell of extremely difficult challenges that lie ahead for humanity. Some of these approximate an End Time senario not too unlike what a Planet X might bring to our neck of the galactic woods. Mother Mary’s appearance to the three children at Fatima, to the four young girls at Garabandal, and to the seven children in Medjugorje all produced references to awe-inspiring events that would occur in our lifetimes. While the language used was different in each case, they describe events that are unmistakably apocalyptic as to the awesome outcomes for the entire human race. Looking more closely at the Marian apparitions at Fatima, Garabandal and Medjugorje, in particular, reveals earth-shattering events which will come in due course of time. Fatima has “The Great Chastisement” revealed in the 3rd Secret; Garabandal speaks of a “Worldwide Warning” and “Chastisment”; and Medjugorje produced “10 Secrets” for each child, the last four of which would manifest with grave consequence if Mother Mary’s admonitions were not heeded by mankind. Lastly, there is a prediction concerning “three days of darkness”, which can be found throughout the Roman Catholic tradition, as well as from other spiritual sources. The great Catholic mystic Padre Pio was especially well-known for his candid exegesis (See his quote above.) concerning the oft-prophecied Three Days of Darkness. There are also many prophecies and predictions that approximate a scenario created by a Planet X outside of the Western religious traditions. They have been offered by the likes of Edgar Cayce and Nostradamus, the Hopi and the Mayans, Mother Shipton and Helena Blavatsky, Black Elk and Sun Bear. Because of the striking similarities, which appear in these diverse narratives spoken to very different people during very different times, the current generation is compelled to take the “Red Star Kachina” type prophecies seriously. Rather than elaborate the various prognostications which have been uttered through the centuries, the main point here is that there does exist an obvious common thread woven through each prophetic tapestry which pictures a Planet X. Not to consider what these gifted seers have handed down as their most valuable legacy would be foolish and shortsighted. In this particular regard we encourage the reader and/or researcher to access the accounts of these oracles from yesteryear. The records of antiquity, especially those of the Hopi and Navaho ancestors, the Maya and the Aztecs, hold much more information regarding the upcoming earth changes and their causes. Perhaps the time is near when the preordained interlocutors of these Indigenous Peoples will step forward to disclose what must be told … with great authority and accuracy. Certainly their knowledge of the Red Star Kachina will impress the modern intellect, the self-professed atheist and the proud materialist in a manner that might precipitate a much needed conversion of the heart. The featured video of Carlos Muñoz Ferrada makes the most convincing case for the existence of a Planet X. Because of his unquestionable authority and unassailable credibility, the entire notion of a comet-planet has much credence. Should the comet-planet’s orbital trajectory through the Solar System occur as he predicted, it will travel a path not too unlike the one illustrated in the diagram below. As to the exact timing and anticipated effects of a Planet X visitation, both remain the subject of much speculation. It was clear from watching the video that our prescient astronomer would not want to address the exact arrival date of Planet X in our Solar System. For obvious reasons he was precluded from revealing such divinely inspired information. Nevertheless, what he did share was enough to clue every viewer into the reality of the biggest game-changer of the era — the entire era known as the 6000 year long Kali Yuga. Having this privileged knowledge puts a special obligation on those who truly believe this unfolding narrative. Not only are they challenged to hold space for those who are completely unaware, their sacred knowledge also provides a window of time to get one’s life in good order. In this way lightworkers everywhere who are in the know will be called upon to serve; they will also anchor their light in ways that cannot even be imagined. Truly, the End Times are upon us and moving very fast. This phenomenon of time acceleration will continue to speed up right up until the moment of Earth’s maximum resonance with the heavenly body whose mission it is to hasten the spiritual evolution of every human being. This is the moment we have all been waiting for, but never thought it would play out on a cosmic set such as the one described by our prophet astronomer. Lastly, it is better to know, than to not know. 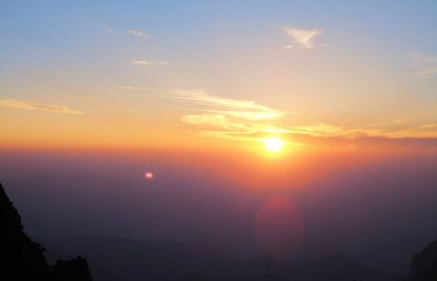 With our deep knowing we are able to consciously experience the coming earth changes with courage and conviction, equipoise and equanimity, grace and blessings. Yes! — we know — there’s a LOT to digest here. However, you, the reader, have in one essay what took years to produce. It wasn’t the writing that took the time; it was the vetting of source documents, verification of data, cross referencing of critical information, authenticating photographs, scrutinizing videos and audios, researching religious scriptures, among many other integral tasks. 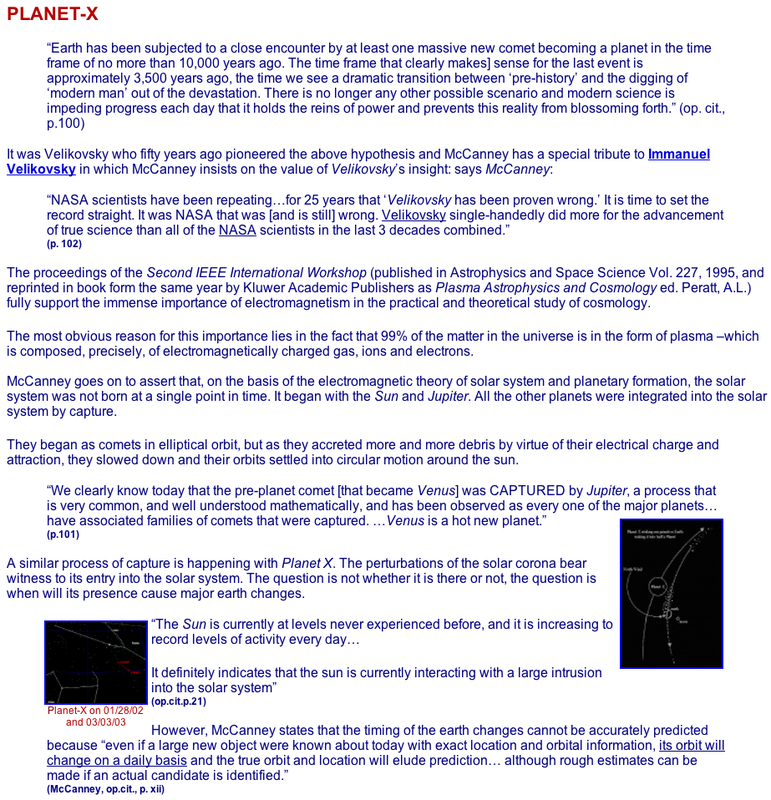 So, we highly recommend that you take your time with this unique essay regarding the recurring comet-planet phenomenon known variously as Planet X, Nibiru, Hercolubus, etc. Please understand that our basic premise is that we stand, as a planetary civilization, at the very end of an age. When the Iron Age ends, it goes out with a bang. There’s only one way for Kali Yuga to conclude, given the true state of the planet, of society, of nations near and far. The only way for the biosphere to rejuvenate for the next race of humanity to be properly supported is for it to be “plowed under”, so to speak. No other agency permits an orderly transformation of Planet Earth as does a hyperdimensional planet-comet guided by a very high intelligence. Governing the series of necessary events that will trigger a full blown, planet-wide metamorphosis can only be accomplished by something big … very, Very BIG. In other words creating conditions for a new heaven and a new earth cannot reasonably occur by way of a humongous, X-class, solar flare Killshot. Can it happen? Yes! But not likely, as it does not meet the needs for an orderly transmogrification of the earth plane of existence. On the other hand, a planet-comet making a surprise visit does seem to fit the destiny of both the planet and its 7 billion plus residents quite well. The following video makes for a very interesting research exercise for anyone who feels they may be in harm’s way … BECAUSE OF WHERE THEY LIVE. 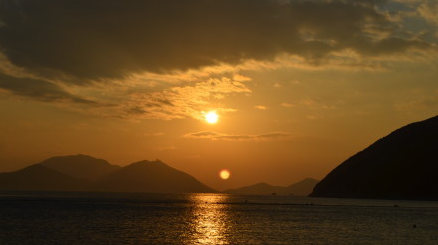 There is no question that those who live on seashores and other coastlines are considerably more vulnerable to whatever the future brings in the wake of a Planet X swing through the Solar System. So are those folks who live on fault lines and near volcanoes, both active and dormant. all system-based channels remain closed and off limits. 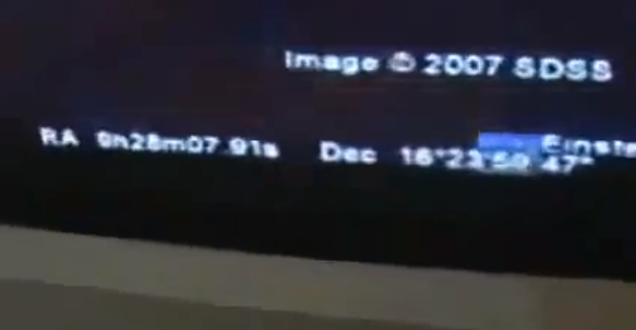 Here are two screenshots from that video which captured the observatory computer monitor that was registering the precise location of Planet X in 2007. 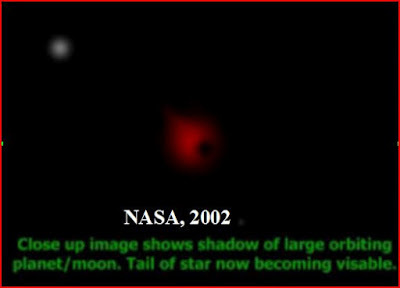 At the time of this isolation of Planet X on the monitor in 2007, the planet-comet was located in the direction of the Constellation Leo. RA (right ascention) and DEC (declination) are to the sky what longitude and latitude are to the surface of the Earth. 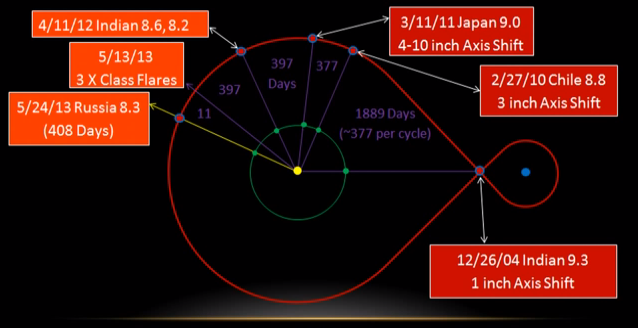 RA corresponds to east/west direction (like longitude), while Dec measures north/south directions, like latitude. • Hazelwood, M.,(2001) Blindsided: Planet-X Passes in 2003. Earthchanges. As expected, there has been a reaction to some of the most compelling material contained in this essay. That reaction is not too unlike ours when we first began researching this subject well over 10 years ago. Often, the closer one gets to the truth, the more challenging it is to properly imbibe. Many are simply not ready for this type of candid assessment. Perhaps they ought to let it go and come back when they’re ready. 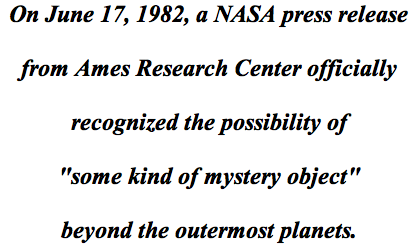 In any event the CCRG believes that the most difficult predictions can be averted even where it concerns a Planet X careening throughout the Solar System. It always has to do with the state of the collective consciousness of humanity. The higher and more enlightened, the easier the passage will be. Yes, it may be that simple. However, too few of us are aware of what might be coming down the pike. Therefore, the vast majority have very little reason to sincerely alter their behavior. Because no one takes the ancient prophecies — or modern predictions — very seriously anymore, it appears that the entire human race may have to learn some hard lessons. After all, Earth is but a schoolhouse, and sometimes the experiments in the chemistry lab can put the whole campus in jeopardy. So, how do we proceed from this point in 2014? Especially in view of what may be coming right around the cosmic corner. We do hope that everyone begins to pose this question in earnest.